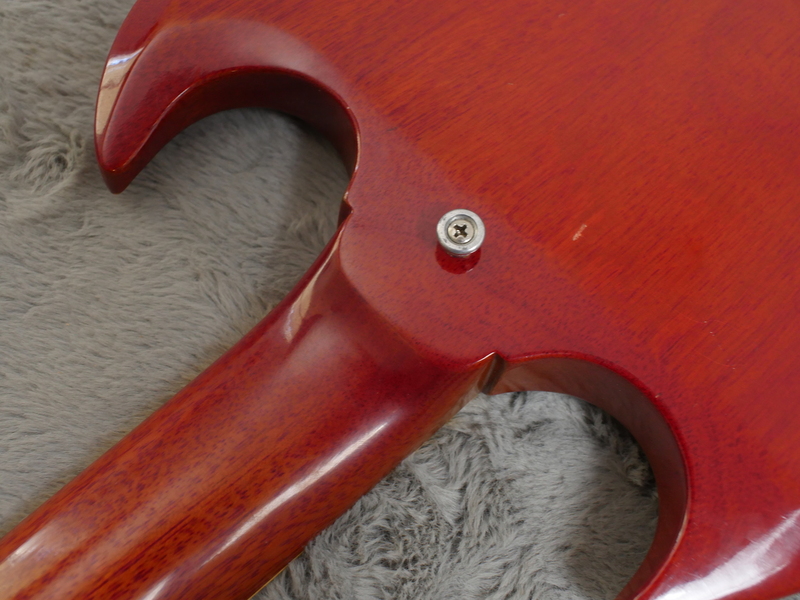 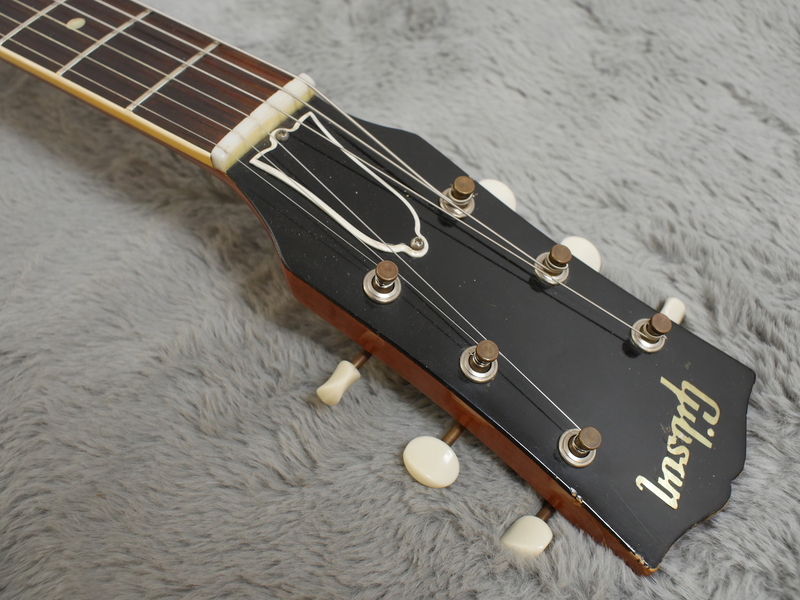 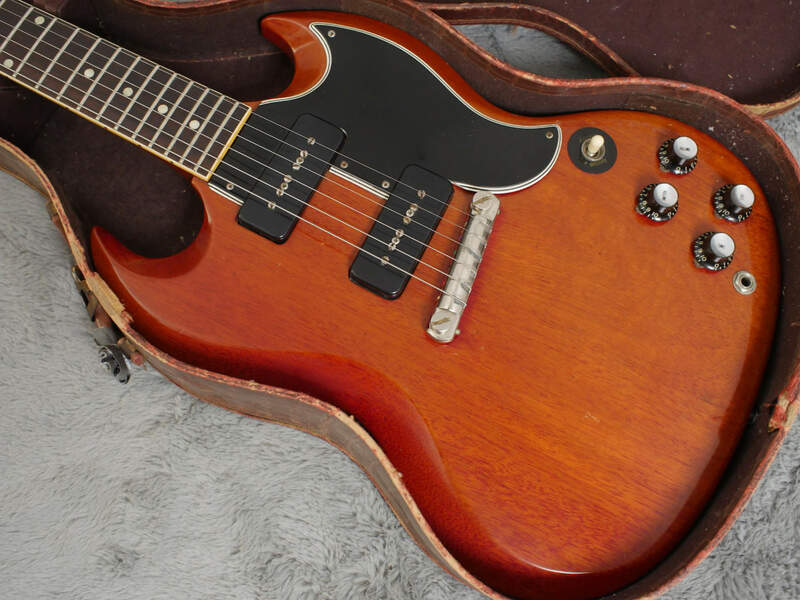 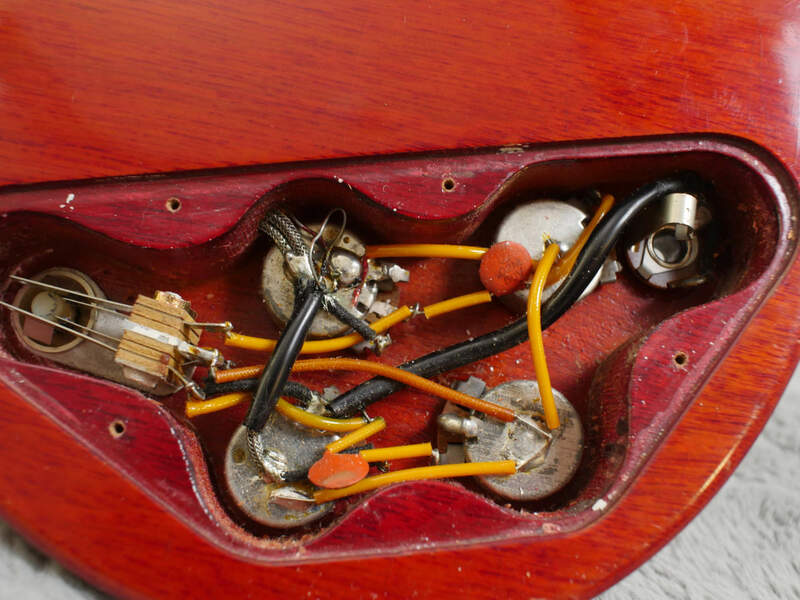 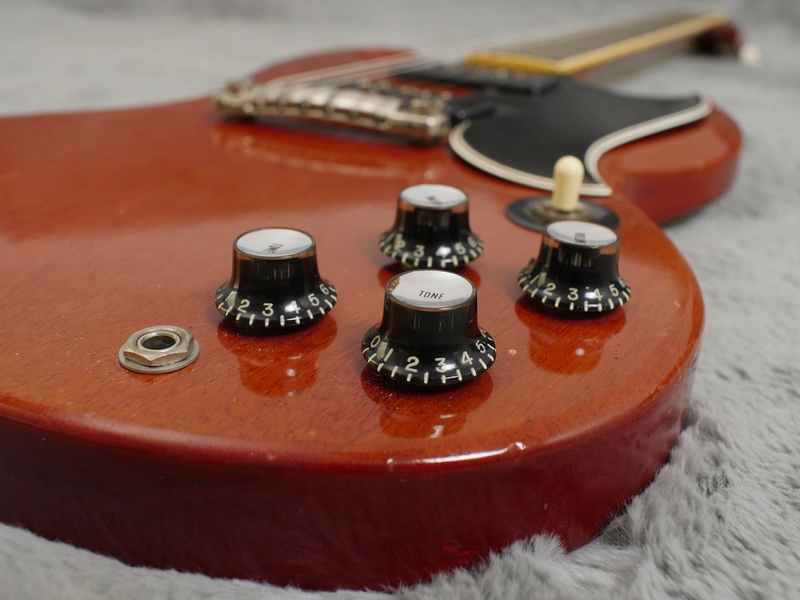 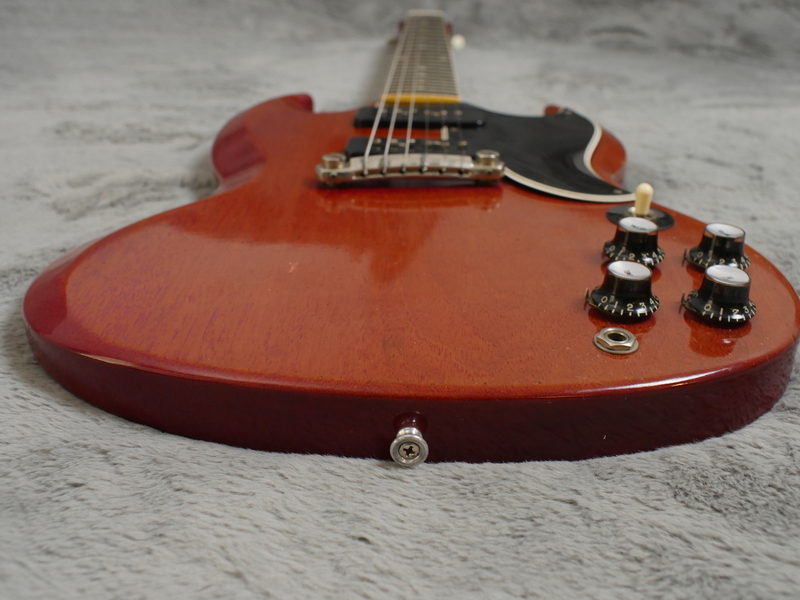 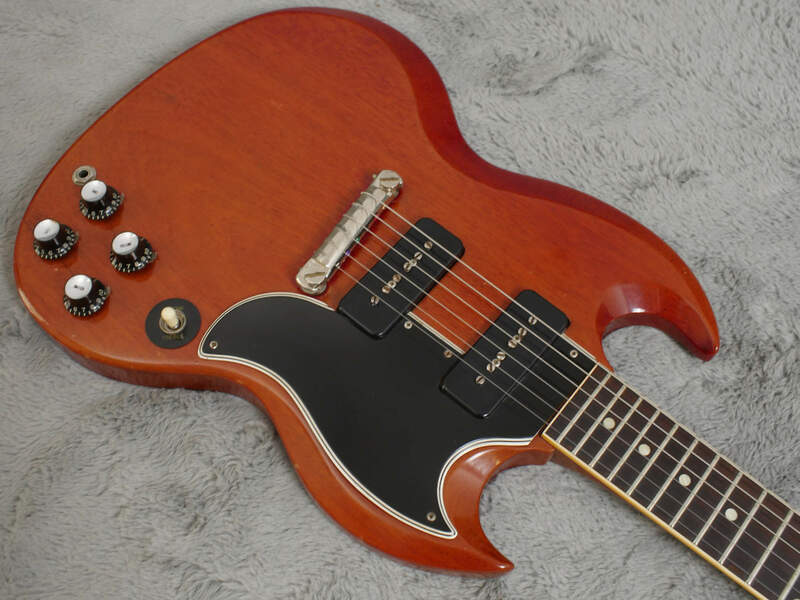 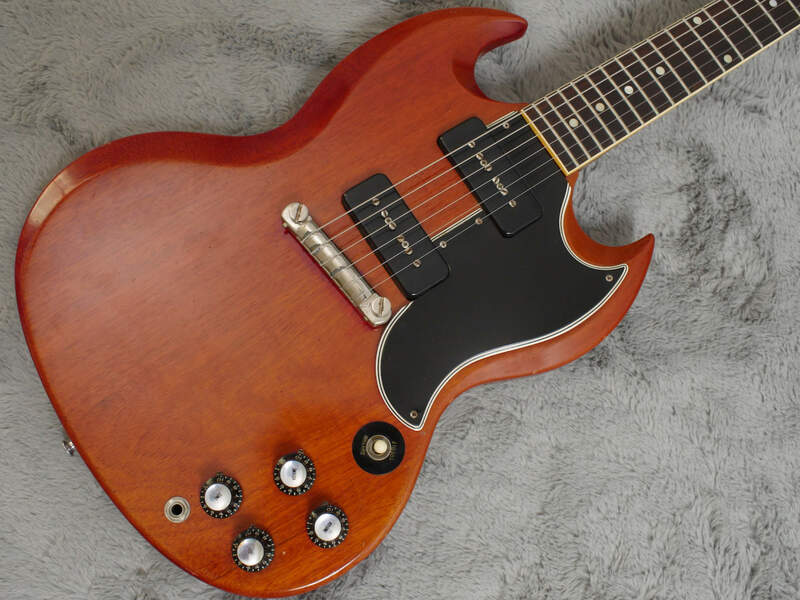 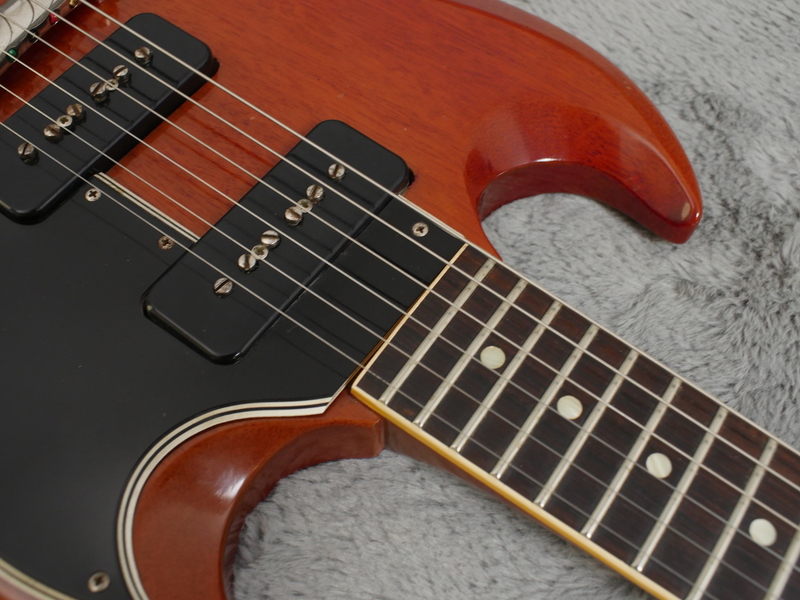 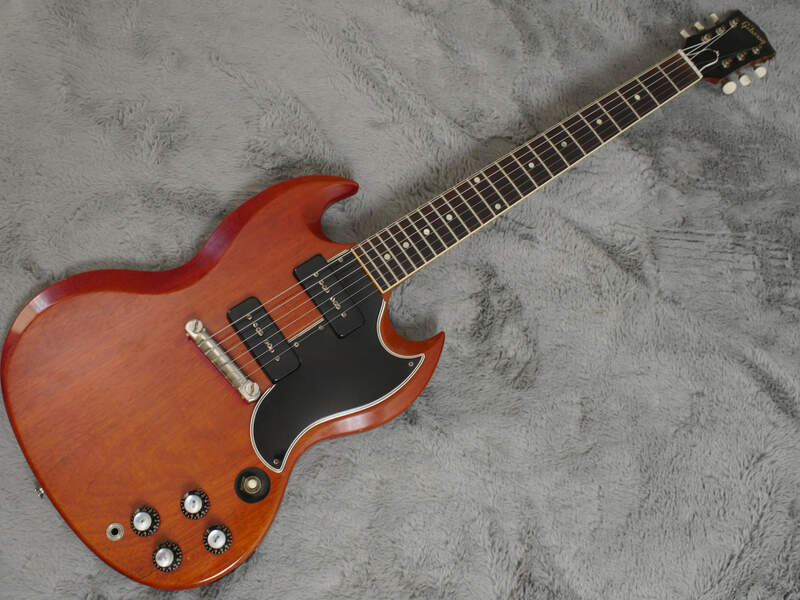 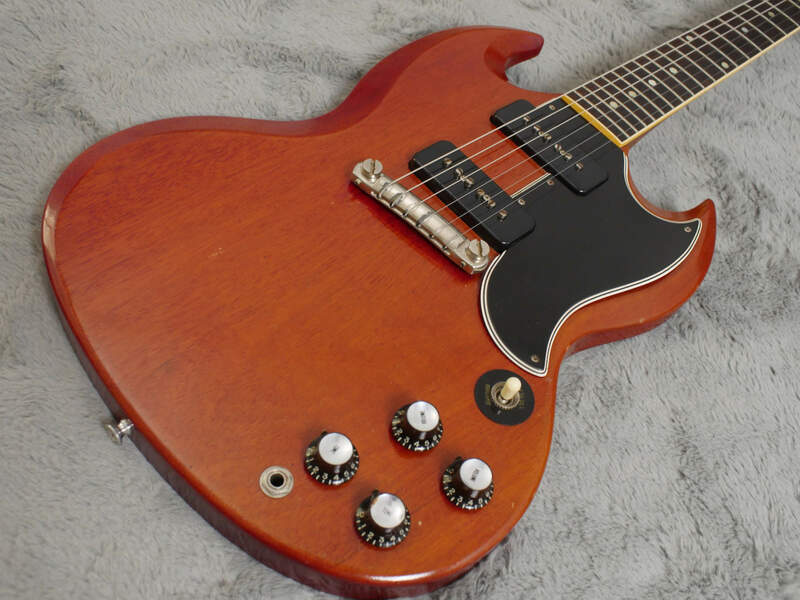 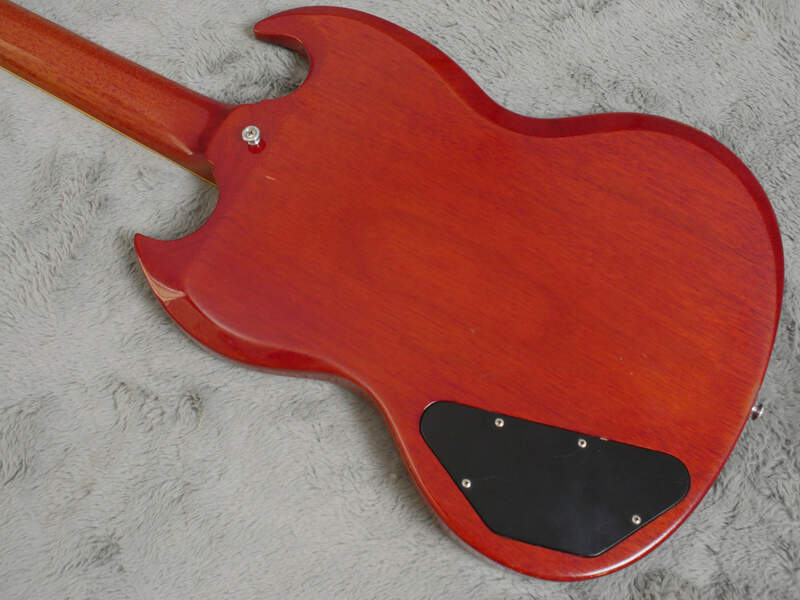 All correct, 1962 Gibson SG Special with the Les Paul style wrap around tailpiece in excellent condition, no issues and not a single trace of any nastiness going on anywhere on the guitar, especially crack wise. 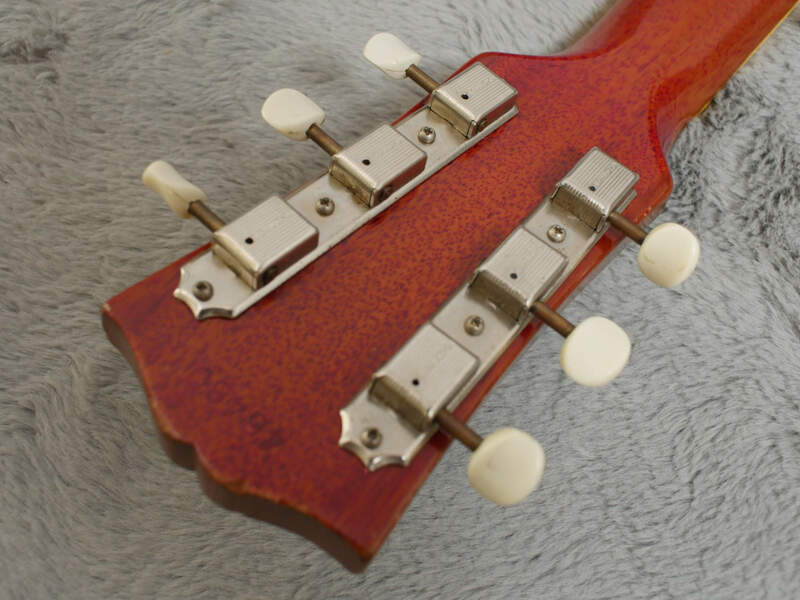 This is, believe it or not, a rare thing to see on these guitars as you usually see something odd at the neck/heal joint but not on this one.. 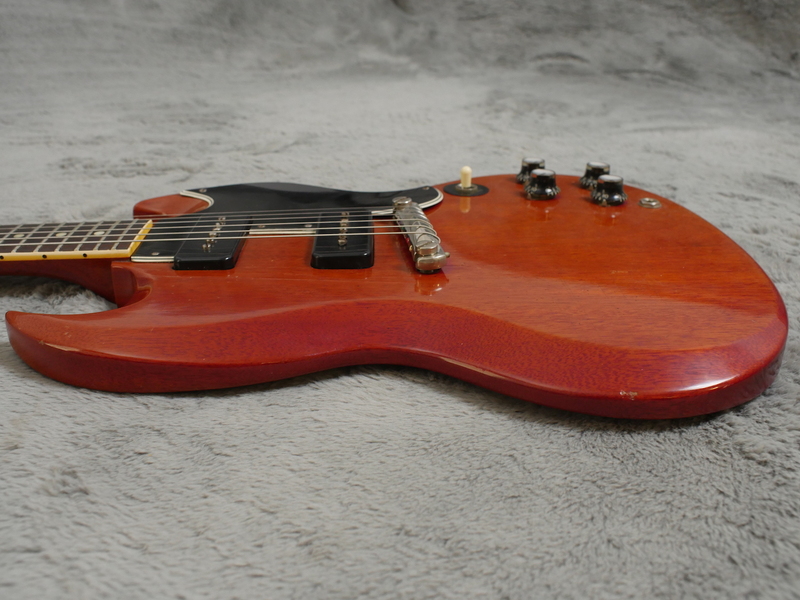 Zero issues and in excellent condition. 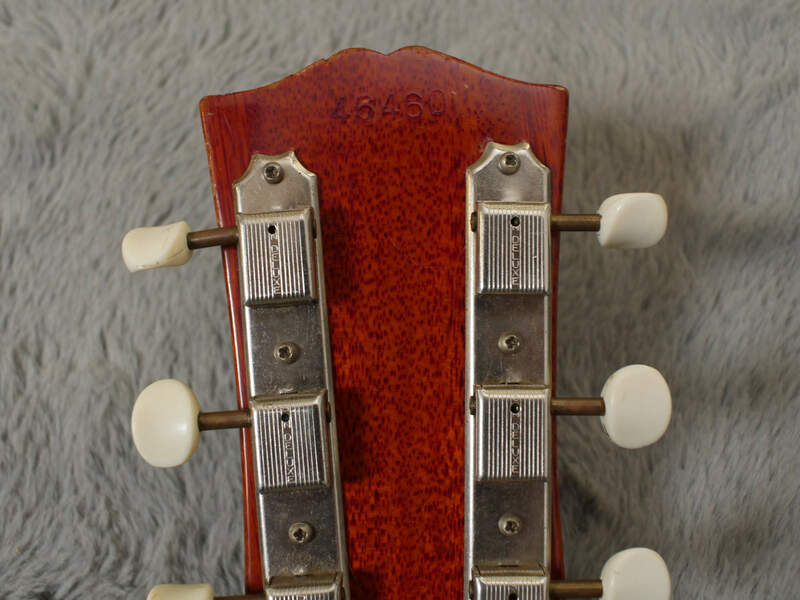 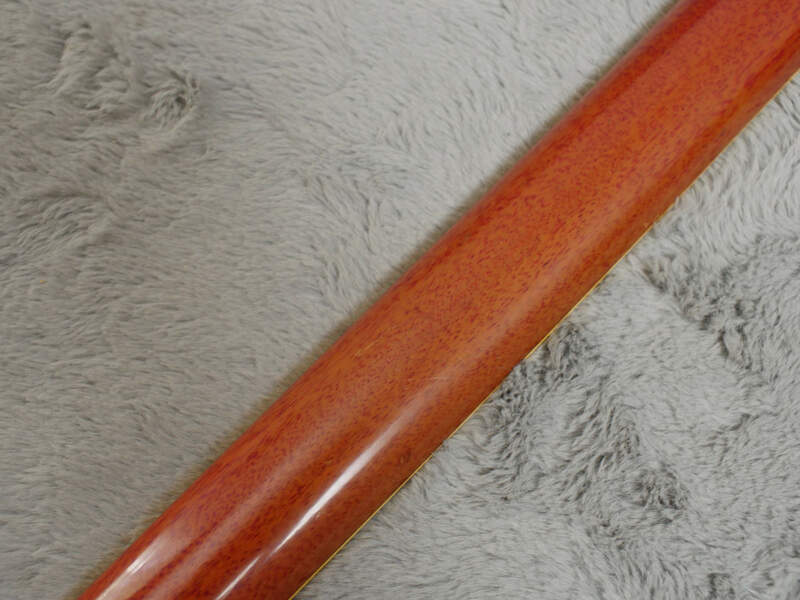 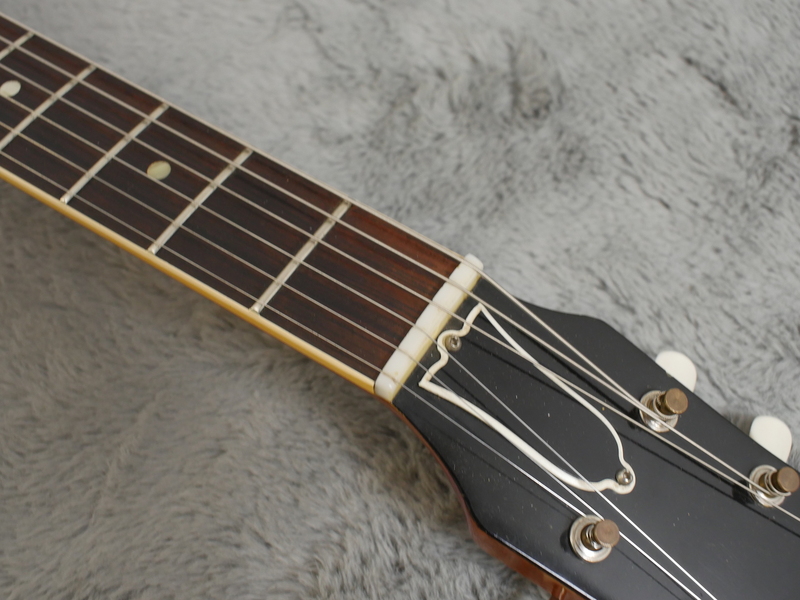 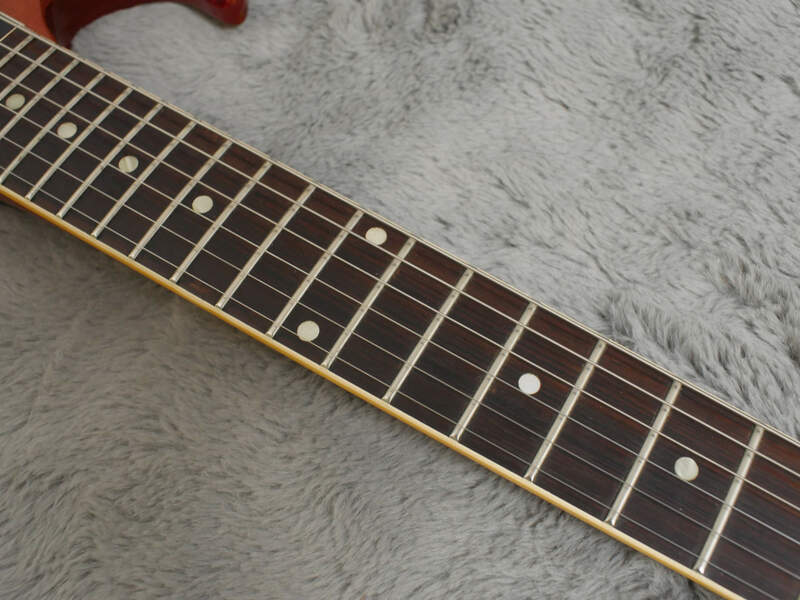 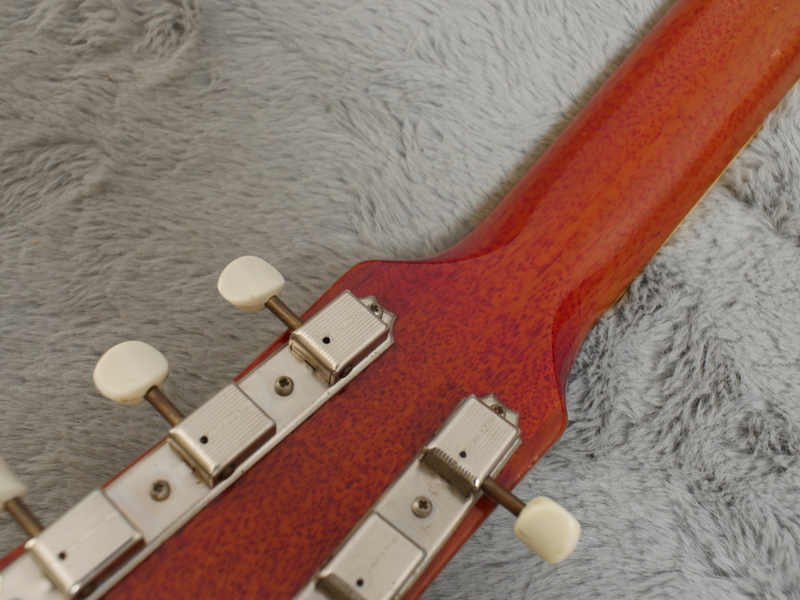 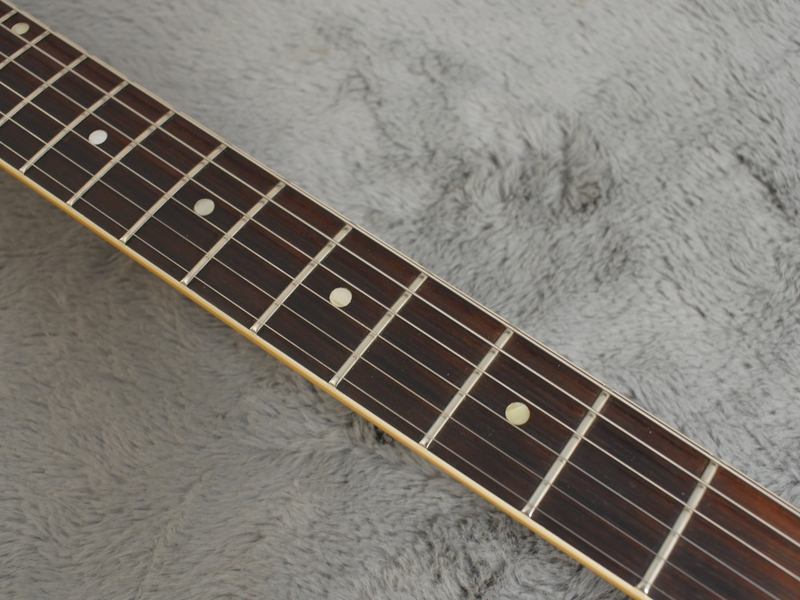 Original frets with good life left on them and a beautiful fingerboard with hardly any noticeable play wear. 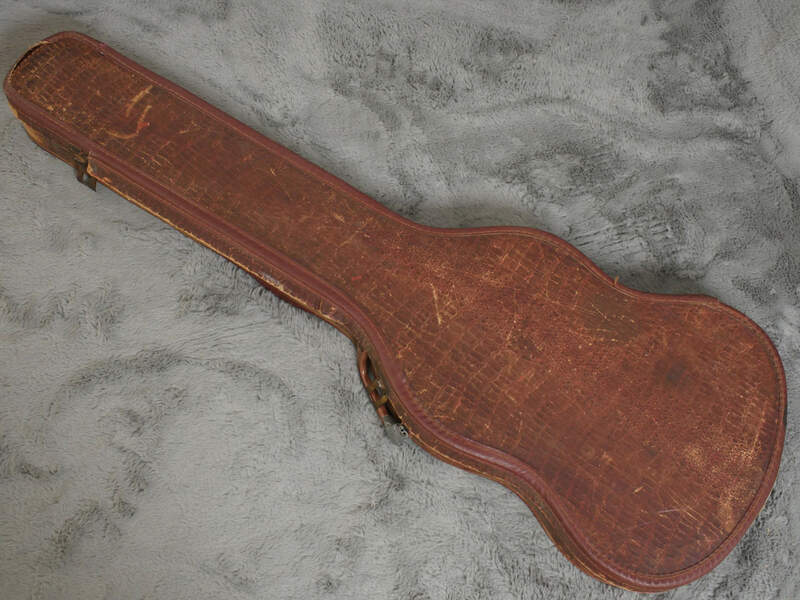 It has the correct alligator style, soft shell case which is in decent shape but probably not as great as the rest of the guitar is. 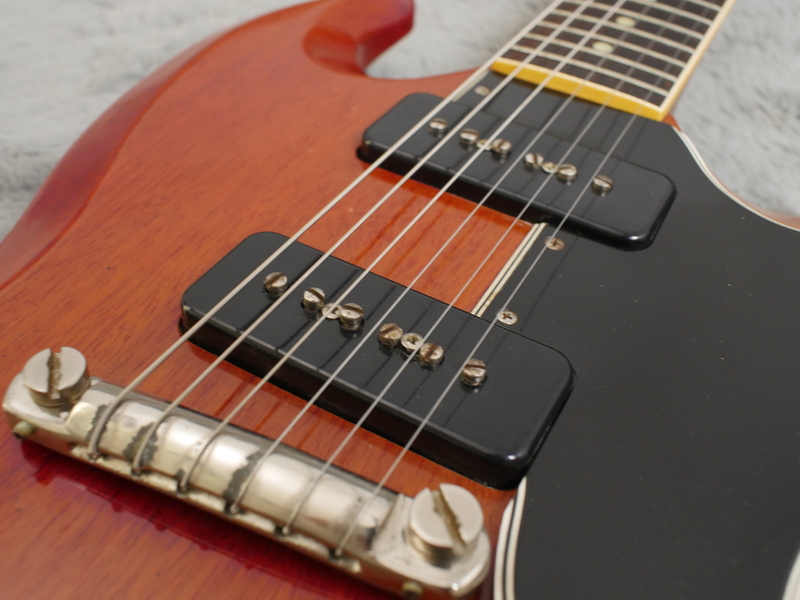 Action is nice and low with some decent room to make it lower if you wish and both pickups are nicely balanced and sound totally killer. 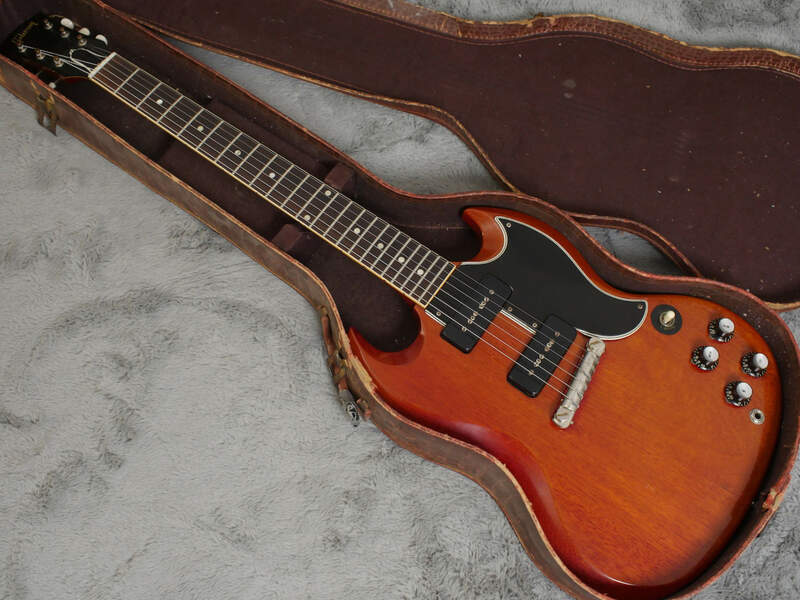 If you have been looking for something like this for some time then this is probably one of the best you will get as most have some issues and to get a one as good as this is pretty damm rare. 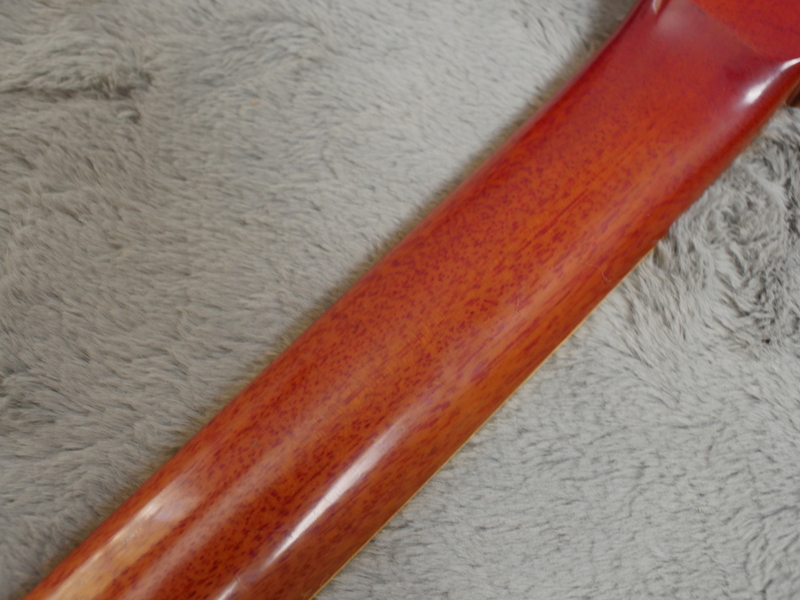 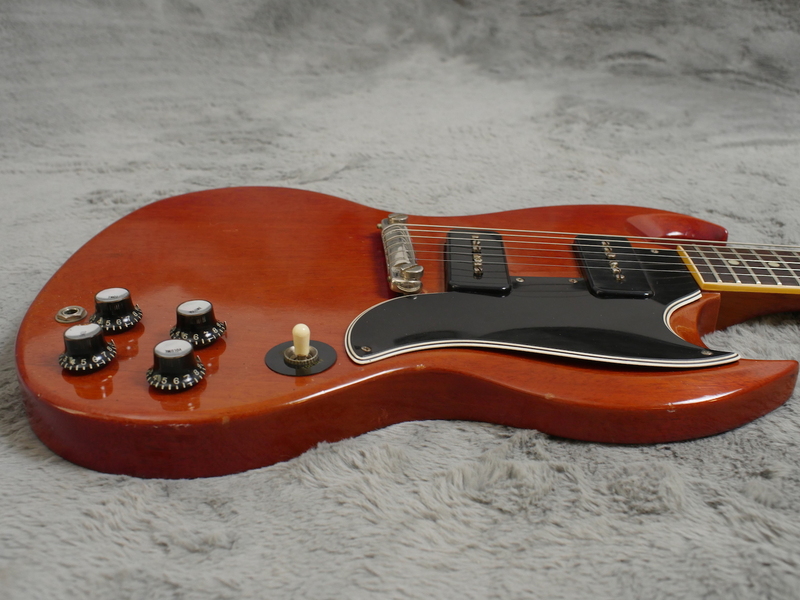 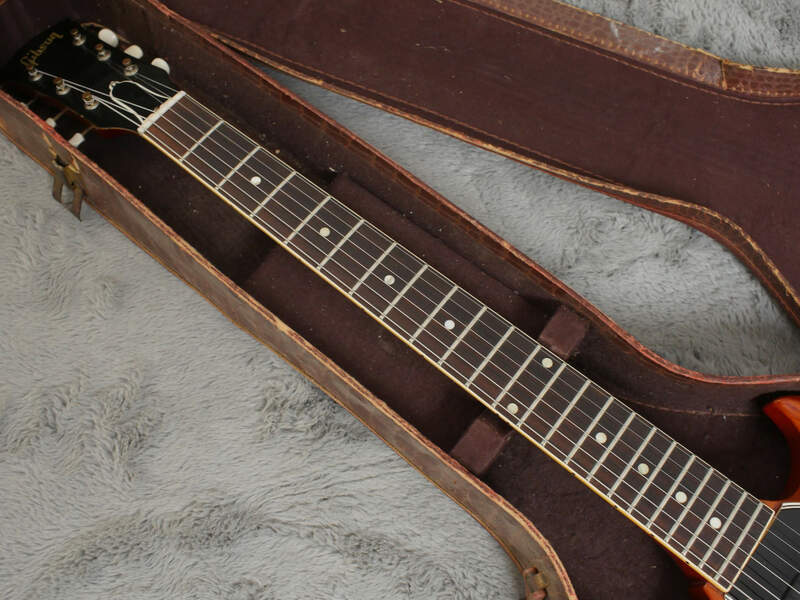 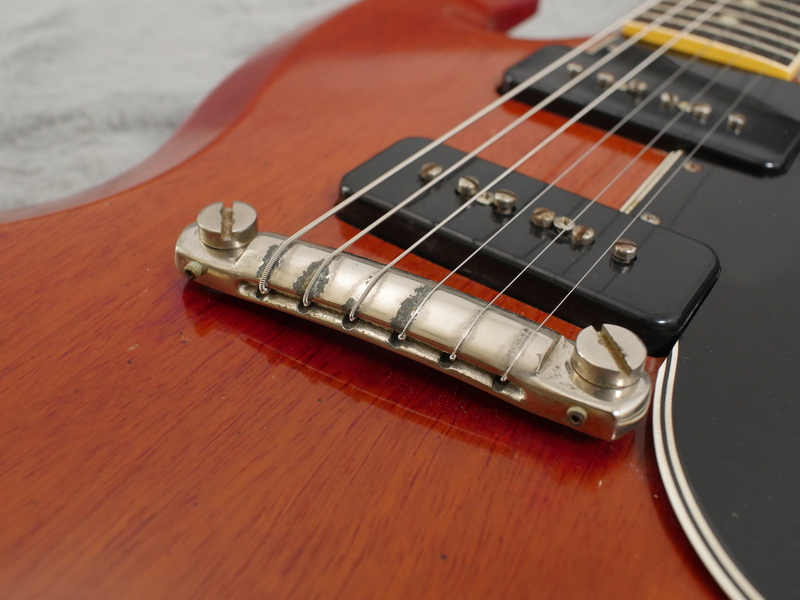 Especially as it has the favoured original slanted wrap tail which is rather nice, just like the Les Paul Juniors had. 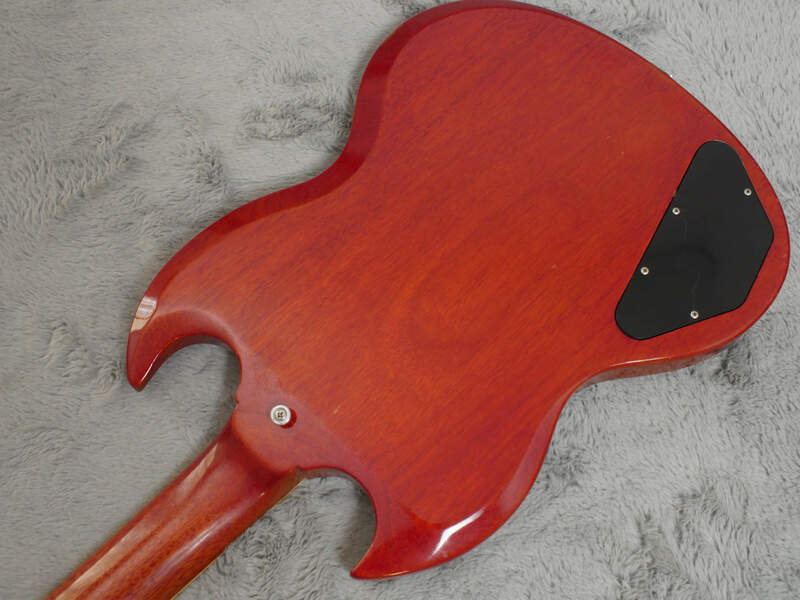 At just 2.77Kg this guitar would defy gravity if it were any lighter so those with back problems definitely need to apply!